Elsie J. Bjerklund, 88, a resident of Grayslake, IL passed away Sunday, August 26, 2018 at Advocate Condell Medical Center in Libertyville, IL. She was born July 1, 1930 in Chicago, IL to Jasper and Eline Nelson. Elsie enjoyed crafting and sewing on many different projects. She had worked as a Registered Nurse at Lutheran General Hospital for 35 years. Elsie was the wife of Gunnar for 37 years, mother of Allan (Kathy) Barnett, Bruce (Carol) Barnett, Cheryl (Ron) Schmalz, grandmother of 5, and great-grandmother of 6. All funeral arrangements were privately held and arranged by Strang Funeral Chapel & Crematorium 410 E. Belvidere Rd. Grayslake, IL 60030. For more information on services, call (847) 223-8122 or log onto www.strangfuneral.org or facebook.com. Karen L. Hord, 65, a 31 year resident of Grayslake, passed away Friday, August 10, 2018 surrounded by her family at Lake Forest Hospital. She was born May 1, 1953 in Chicago, IL to John and Lois Dama. 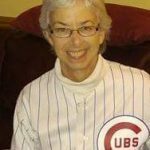 Karen was an avid Cubs fan and a fan of Grayslake Central Baseball, Softball, and Cheer. She was even named honorary Grandmother to the baseball team. Karen worked for Colossal Gram in Grayslake for over 27 years and fundraised for American Heart Association and Cancer Society. She was a devoted grandmother. Karen is survived by her husband of 45 years, Ron, her mother Lois Dama, her children Kelly (Ryan) Buck, Tracy Hord, and Heather (Michael Carani) Hord, her grandchildren A.J., Trinity, Wesley, Ryleigh, Karina, Alexis, John, Liam, and Lucy, her siblings Lori Tokarz and Craig (May) Dama, and numerous nieces, nephews, great-nieces and great-nephews. She was preceded in death by her dad and her brother Keith Dama. A visitation and funeral service is scheduled for Friday, August 17, 2018 from 3:00pm until 7:00pm with a funeral service commencing at 7:00pm at Strang Funeral Chapel & Crematorium 410 E. Belvidere Rd. Grayslake, IL 60030. Please proudly wear your Cubs or Rams gear to Karen’s visitation and service. Interment will be held privately. Memorial donations may be made to the Anthony Rizzo Family Foundation or the American Cancer Society. For more information on services, call (847) 223-8122 or log onto www.strangfuneral.org. Paitoon Kornkasem, 81, a resident of Round Lake Beach, passed away July 24, 2018 in Los Angeles, CA. He was born July 15, 1937 in Bangkok, Thailand. Paitoon worked as a Production Scheduler for AM Multigraphics. Paitoon is survived by his wife Chuancheun Kornkasem, whom he wed on February 11, 1970, his brothers Morakot, Pathai, Suwitch, and Bundit, his sister Pailin Phoophat, his son Paul Kornkasem, his daughter Patricia (John) Ramsey, and his grandchildren Tia Ramsey and Joseph Ramsey. A memorial visitation and service is scheduled for Saturday, August 18, 2018 from 1:00pm until 4:00pm with a memorial service commencing at 4:00pm at Strang Funeral Chapel & Crematorium 410 E. Belvidere Rd. Grayslake, IL 60030. Scott Love will be officiating. Interment will be held privately. For more information on services, call (847) 223-8122 or log onto www.strangfuneral.org. Joseph P. Beemsterboer, age 92, a resident of Grayslake, passed away at his home on Thursday, August 9, 2018. A visitation is scheduled for Saturday, August 11, 2018 from 11:00am until 12:00pm with a funeral service at 12:00pm at Strang Funeral Chapel & Crematorium, 410 E. Belvidere Road, Grayslake, IL 60030. For information, please call 847-223-8122 or go to www.strangfuneral.org. 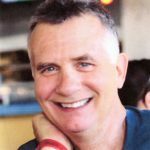 Michael F. Gehrls, age 63, of Park City passed away Tuesday, August 7, 2018 at his home. He was born November 21, 1954 at St. Therese Hospital in Waukegan. Mike enjoyed many things in life and was a kind heart who got along with those he passed in life. He was a very skilled painter and artist that loved the chance to show his children, grandchildren and anyone who wanted to learn how to draw and paint, especially the Flintstones and other fun cartoon characters. As he spend most of his life working to support his family, Mike enjoyed being around his grandchildren the most during his retired years; helping raise each of them, enjoying how different each of them are and making memories with them. Mike will be most remembered for his love of all things and his spunky personality. There wasn’t a moment that he didn’t want to sit and talk while enjoying an ice cold Coke. Mike is survived by his wife of 41 years, Christine, his children Sherry Best and Michael C. (Tara) Gehrls, his grandchildren Jessica and Justin Best, Haydn and Zackary Gehrls, his sister Joyce (Cliff) Olsen and numerous nieces and nephews. He was preceded in death by his parents Clarence and Norma, his sisters Delores, Beverly and Donna and his brother Donald. A Memorial Potluck is scheduled for Thursday, August 16, 2018 from 5:00pm until 8:00pm at the Lake County Fairgrounds Meeting Room, 1060 East Peterson Road Grayslake, IL 60030. In lieu of flowers, memorials may be made to the family at 33183 N. Battershall Dr. Grayslake, IL 60030 or www.gofundme.com/MichaelFGehrls. Arrangements were entrusted to Strang Funeral Chapel & Crematorium, 410 E. Belvidere Road, Grayslake, IL 60030. For information, please call 847-223-8122 or log on to www.strangfuneral.org. 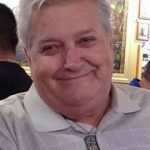 Terry Garrison, of Mundelein, Illinois, loving husband of Robin, passed away at age 67 on August 8, 2018 at his home after a courageous battle with illness. Born in Chicago, Illinois, he was the son of the late Lois Jean Gibson and the late Arlin Bruce Garrison. He graduated from Mundelein High School in 1969 and Western Illinois University and had a successful career as a printing salesman. 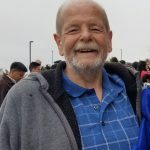 Terry is survived by his daughter, Jennifer and her husband Robert Blessing of Grayslake, Illinois; grandson, Jordan Blessing; and granddaughter on the way. He is also survived by his brother, Dale and his wife Doris Garrison of Gilbert, Arizona, and many nieces and nephews. He was preceded in death by his brother, Bruce, husband of Ginny Garrison. He will be remembered for his passion and talent as a musician and artist. A private family celebration of life will be held at a later date. A special thank you to the Vitas hospice nurses. For information, please call 847-223-8122 or go to www.strangfuneral.org. 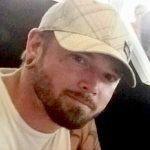 Joshua James Talles Costello, age 34, of Ingleside, passed away Tuesday, July 31, 2018 in Chicago. He was born May 21, 1984 in Waukegan to David Talles and Lisa Costello. Joshua was involved in a program that reached out to youths who struggled with drug addiction in an effort to educate them about the dangers of drugs. He is survived by his mother and father; his children, Katelyn and Joshua Talles, both of Vernon Hills; and his siblings, Timothy, Tarren, Carmen, David, and Logan. He was preceded in death by his grandparents, Paula and Ken and his uncles Kevin and Timothy. A visitation and memorial service is scheduled for Sunday, August 5, 2018 from 5:00 p.m. until 7:00 p.m. with the memorial service starting at 7:00 p.m. with Reverend Kauffman officiating at Strang Funeral Chapel, 410 E Belvidere Road, Grayslake, IL 60030. Donations may be made to Joshua’s mother to help cover funeral expenses. For information, call 847-223-8122 or go to www.strangfuneral.org.